Feeling the hot wind on your skin surrounded by unusual yet fascinating Sri Lankan architecture you start to walk towards the Psychiatric Unit where your help is needed. Working with mental health patients may be stressful but knowing you are making their day better just by spending time with them, not to mention the benefits for their health while implementing suitable treatments-happiness just fills the air. Other days you do Special Needs Work in which you dedicate all your time and energy to your special princes and princesses due to being different and often misunderstood. Seeing their struggle breaks your heart but they put it back together with just one smile. Last but not least is when teaching locals English and Western culture and customs which could involve sometimes lots of imagination due to the language barrier. 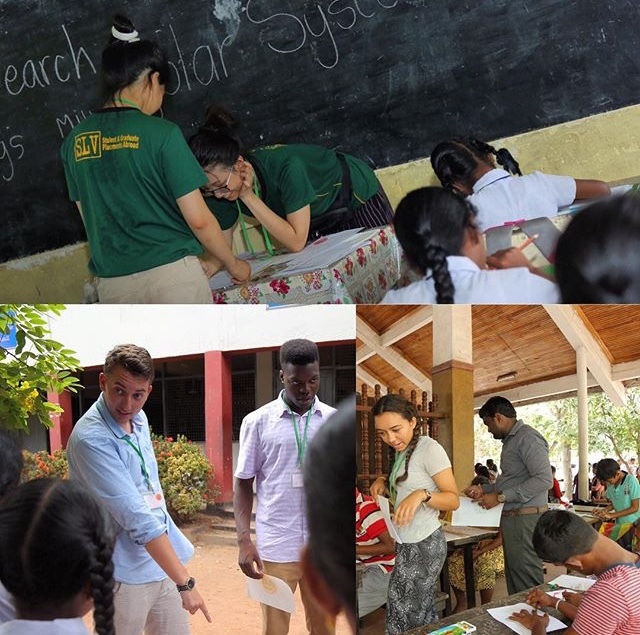 Immersing yourself in a totally different culture and life settings to help those less fortunate is possible thanks to NGO called SLV.global led by psychology graduates who wish to make a change in a place with scarce resources. Do you think you can help me be the person in the story above! My name is Patricia and I am a first year BSc Psychology with Cognitive Neuroscience student from Croatia. I have been volunteering most of my life and this projects would allow me to volunteer as well as gather priceless experience and knowledge of psychology and different culture. Sometimes people get immersed in their lives so much that they forget that not all people have the privilege of having a house or loving and supportive family. While mental health disorders are well-known thing in the West, the situation is different in the East. There most of the people still believe that someone with any type of disorder has been possessed by devil or evil spirits therefore taking the one to priests but never seeking for help from professionals. Moreover, some do not reach out for any kind of help due to the fear of being rejected or embarrassed. Going to Sri Lanka would mean trying to change the current view of mental disorders and giving a hand to under-resourced facilities and staff. Making even the smallest change would mean a world to me and would be beneficial in my future work within this field. Every donation is like a drop in the waterfall, together we can make it shine! Reaching the minimum would mean being able to cover the costs of admission fee as well as part of the programme fee. Raising all the money would mean being able to cover all my costs. If I exceed my stretch goal, I would use that money to pay for the weekend trip costs while we are there, as every weekend is a new adventure and would allow me to help even more people. I’ll be giving regular updates during my fundraising campaign. Subscribe to be a supporter on the page here to follow me on my trip to Sri Lanka. If you are unable to donate, please share my project on Facebook, Instagram, You Tube, LinkedIn, Snapchat or any other social media. Spread the word with everyone you know! Every donation is step towards the goal. One of my core beliefs is that the whole world is a big community. As a member of your community I am asking, let's walk together! Donations of 50 pounds will receive keychain.